Fashion Herald Intern, Craig, takes a break from 34th Street to visit The Holiday Shops at Bryant Park. 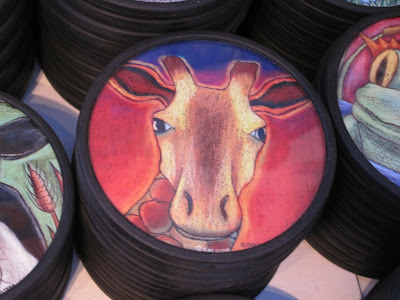 The key to my heart is animal shaped anything: cookies, sculptures, soaps, I could go on for hours. Luckily, Pink Cloud Gallery has fulfilled all my animal shaped dreams. 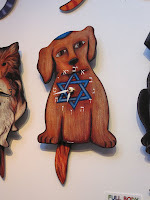 When walking up the path to the store, you're instantly greeted with a plethora of dog and cat shaped clocks. Because I was raised in the digital clock generation, I can't tell time on a clock but I will certainly learn for these. 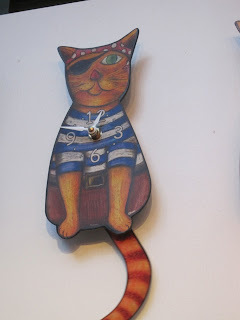 How can you resist Pirate Kitty? And for our Jewish brethren, we have Hanukah themed gifts! A Jewish dog and Star of David travel alarm clocks for your viewing pleasure. 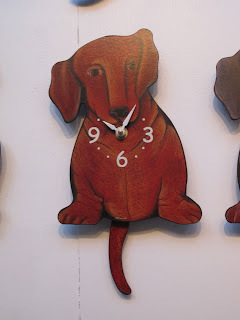 But it's not just cats and dogs at Pink Cloud Gallery. There are also giraffes! 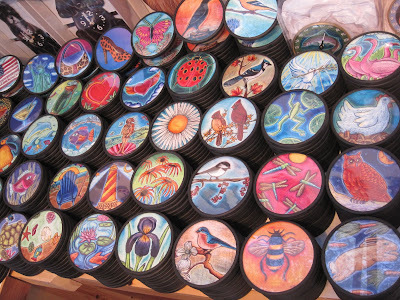 The shop has a fantastic assortment of drink coasters. 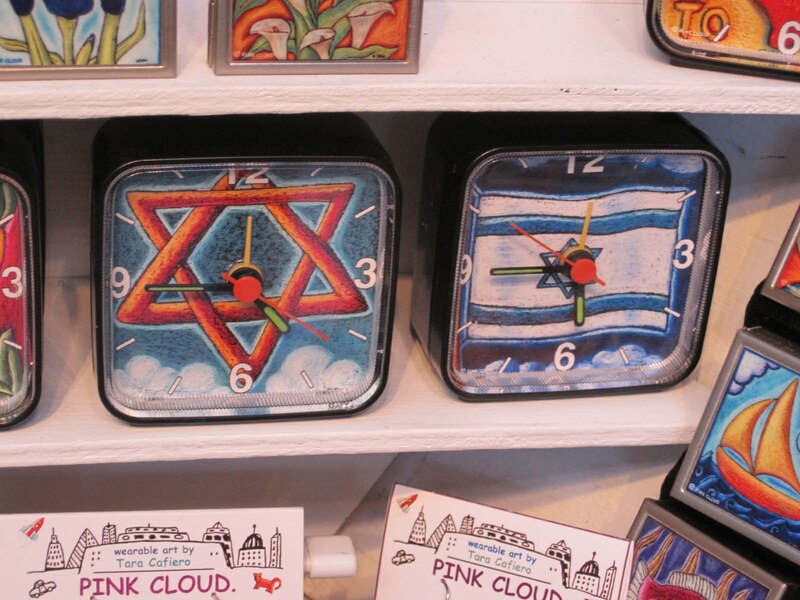 We talked with the owner of the booth who told us that if there is a piece of art that you like from Pink Cloud, it can be put on anything in the store: clock, travel clock, coaster, or earrings. 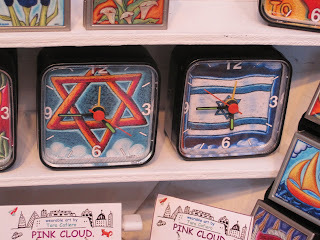 Pink Cloud Gallery is great for a simple gift with a personal touch. You can definitely find something for everyone here. *Look for special extended hours as Christmas approaches. Some shops may be open on Christmas Day.